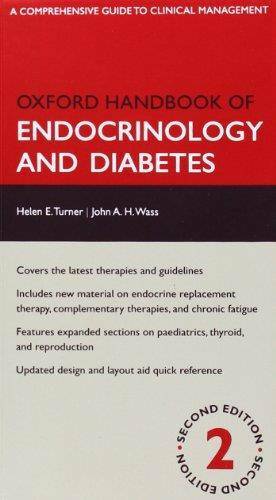 This unique pocket guide to endocrinology and diabetes has been fully revised for the new edition. Written in conjunction with the Oxford Textbook of Edncrinology and Diabetes, it covers clinical investigation and management of both common and rare conditions, and includes the protocols and explicit clinical information necessary for the management of individual patients with endocrine and diabetic disorders. The second edition includes new chapters on complementary therapies, chronic fatigue, and endocrine replacement therapies, as well as the latest guidelines and information on new therapies. There are also epxanded section on paediatrics, thyroid disorders, and reproduction--including male and female HRT. Numerous diagrams are included to illustrate important conditions, and the revised design and layout aid quick reference with useful summary boxes. 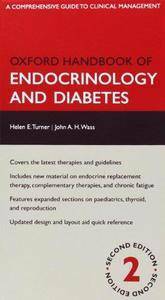 Fully reviewed by an expert panel of referees, ensuring that it continues to provide high-quality information of international standing, this is the indispensable companion for all those caring for patients with endocrine or diabetic problems.